Two things happened this morning that I can’t recall ever happening before. It’s rare indeed when things like this happen, and of course, my first instinct is to start getting all spiritual and ask “what does this all mean” and “is someone trying to tell me something”? I think none of the above, and I’d say let’s just chalk it up to coincidence. How do you make money with your Facebook Fan Page? The first person who asked me did so via email. They were trying to figure out what product would sell best on a Facebook Fan Page (I’m going to address that below). The second person did so on the phone while we were talking about the differences between making money on a tradition blog or website, versus making money on Facebook (also addressed below). Probably the most effective way I’ve seen so far to make money on Facebook, or through your Facebook Fan Page, is through the promotion of affiliate products. For example, this morning’s deal of the day on Amazon is a Kodak Mini Video Camera with SD Card (Grey). As an Amazon Associate, someone who makes money on Amazon through affiliate marketing, this was a great product for me to tell my Facebook fans about. So I wrote an article about the product on my blog and then shared that article to my 5,000 plus fans on Facebook. Exactly how many have sold so far, I’m not sure. I won’t actually know the sales figures until tomorrow. But the principle stands, promoting affiliate products through your Facebook fan page is a great way to earn revenue through your page. What products should I focus on? This is such a great question for any Facebook fan page admin, and the answer, to me anyway, is very simple – you must promote products that help your Facebook fans. Let’s face it, your Facebook fan page is made up of people that share a common interest with the content and purpose of your Facebook page. So sharing and promoting products that would actually help your fans is the obvious way to go. Since I share a lot of technology and social media news through my Facebook page, and that in turn grows a large fan base built around that subject, it only makes sense then that the products I promote would be related to technology. So items like the Kodak Mini Video Camera was a perfect fit, because more than likely, the fans of my Facebook page would be interested in gadgets like this. So there really isn’t one answer that fits all in response to the question, what products should I sell / promote to my Facebook fan page fans. The proper response would be, sell products that are going to help your fans and add value to their lives. There’s a lot to be said for making an effort to add value to others. Most importantly, people recognize your effort and appreciate the attention. So affiliate marketing is just one way you can earn money off your Facebook fan page. 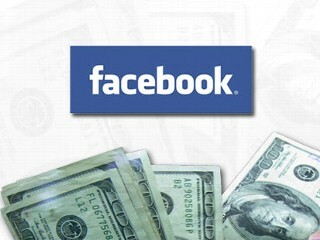 What are some other ways you’ve earned money off your Facebook page?